Arrow Electronics and Libelium have signed a global distribution agreement. 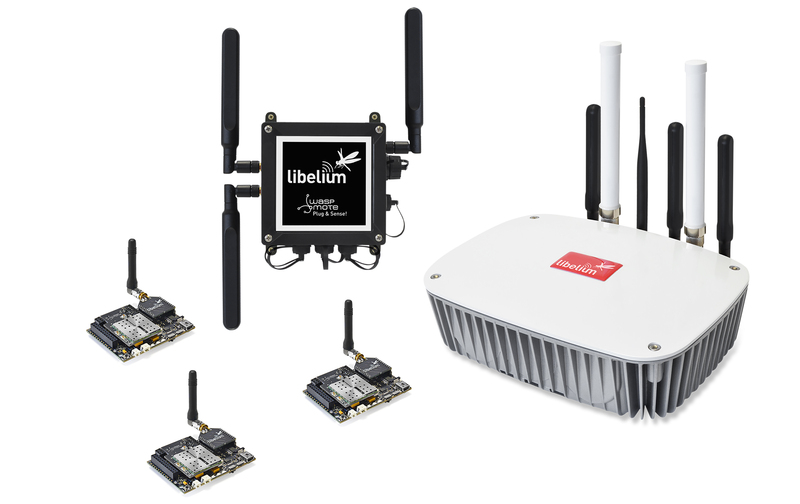 The deal extends Arrow’s portfolio for the Internet of Things (IoT) with the addition of Libelium’s wireless and sensor technology and enables the companies to provide off-the-shelf IoT solutions that require minimal design effort before deployment. Libelium has been helping organisations to deploy remote sensing solutions in applications including forestry, agriculture, environmental monitoring, smart manufacturing and traffic control since 2006. The company’s Waspmote hardware architecture has been designed to function with extremely low power consumption. Individual sensor interfaces and radio modules can be turned off digitally to conserve energy and three different sleep modes enable the hardware to operate down to only 7µA when in hibernation mode. More than 120 sensors are available to connect to the Waspmote base hardware enabling detection and monitoring of gases, pressure, vibration, and the behaviour and chemical composition of liquids, among many options. There are 17 different wireless interfaces for Waspmote including long range (4G/3G/GPS/ GPRS/LoRaWAN/LoRa/Sigfox/868MHz/900MHz), medium range (Zigbee/802.15.4/DigiMesh/WiFi) and short range (RFID/NFC/Bluetooth 2.1/Bluetooth LE). The new agreement further enhances Arrow’s IoT offering, which includes a comprehensive range of hardware components, development platforms and software tools linked together by supporting services. Arrow’s Connect software runs on Libelium Meshlium gateways, the interface between Waspmote sensors and the Internet, simplifying connectivity to industry standard data platforms and device management. Arrow’s eVolve platform, which includes Arrow Connect, provides customers with a complete ‘Sensor-to-Sunset’ solution that simplifies the specification, creation, management and operation of IoT networks throughout their working life.